Google worked with design agency B-Reel to create some unique wallpapers for its Pixel and Pixel XL flagships, and the end result is quite stunning. 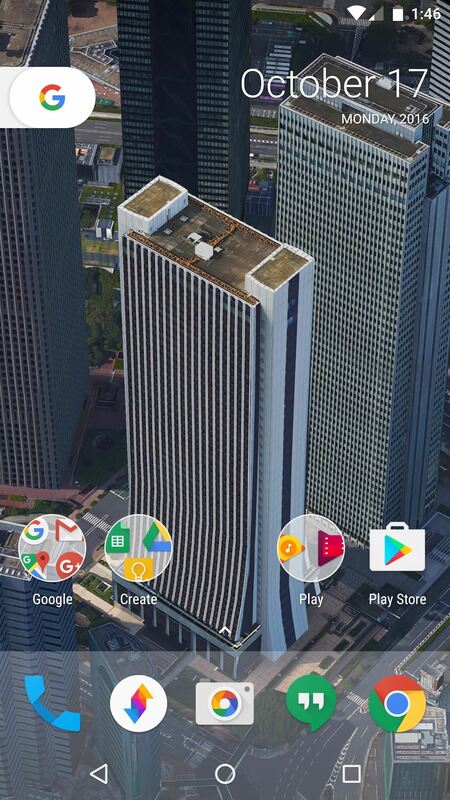 These "Live Earth" wallpapers, as they're called, combine Google Earth's high-def satellite imagery with a 3D parallax effect that changes perspective as you move between screens. It's a dramatic look, so developer Quinny898 dug through a recent Pixel system dump to find all of the files and libraries that make the Live Earth images tick. He then combined all of these resources into a single APK, which means that you can install one of the Pixel's best features on your phone in just a few simple taps—no root required. To start, just grab the APK using the link below, then tap the Download Complete notification when that's finished. The file is rather large (80 MB) since it includes the necessary libraries, so give Android's installer interface a moment to load, then tap the "Install" button. 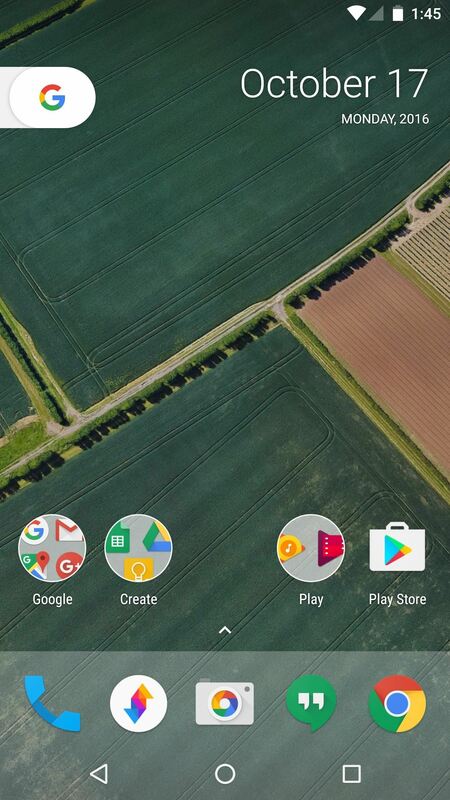 Once you've got the app installed, head to your home screen, then long-press any empty space and choose "Wallpapers." From there, if you're using the new Pixel Launcher, head to the "Live Wallpapers" section, then pick an image, and choose "Set wallpaper." 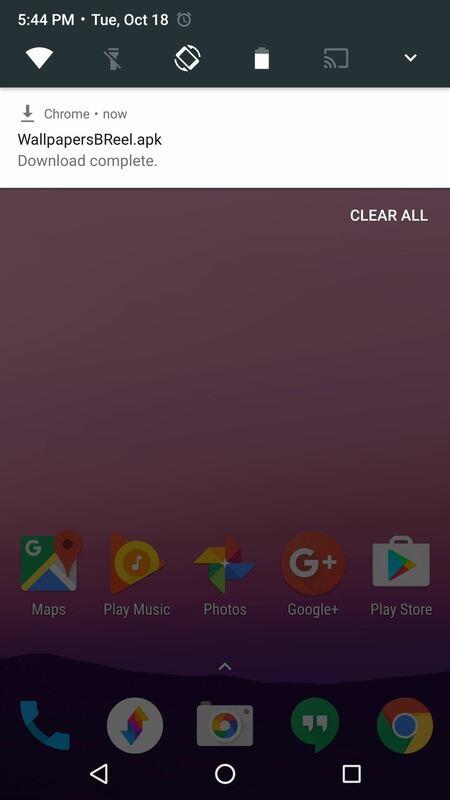 If you're using the Google Now Launcher or any third-party home screen, simply scroll over on the bottom menu to find the new backgrounds. 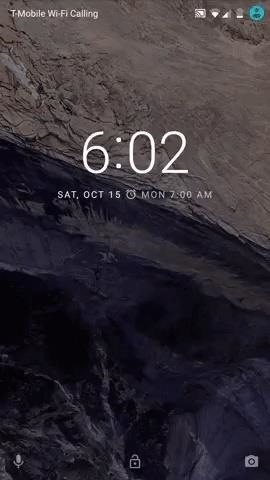 (1) Setting Live Earth wallpapers through the Pixel Launcher. 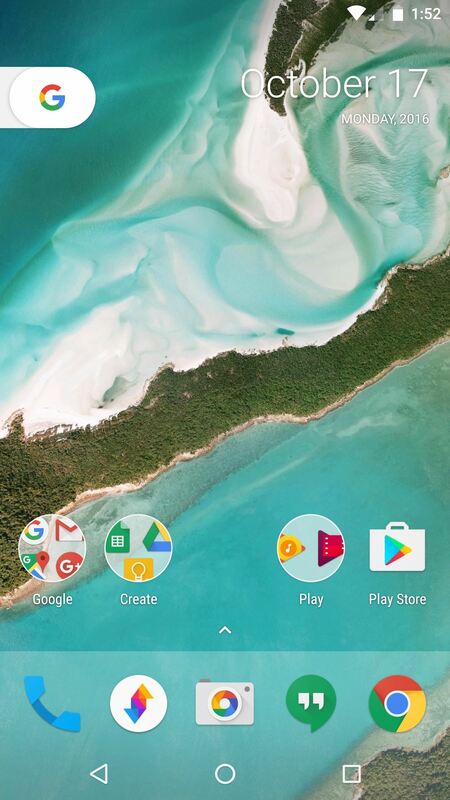 (2) Setting Live Earth wallpapers with a custom launcher. 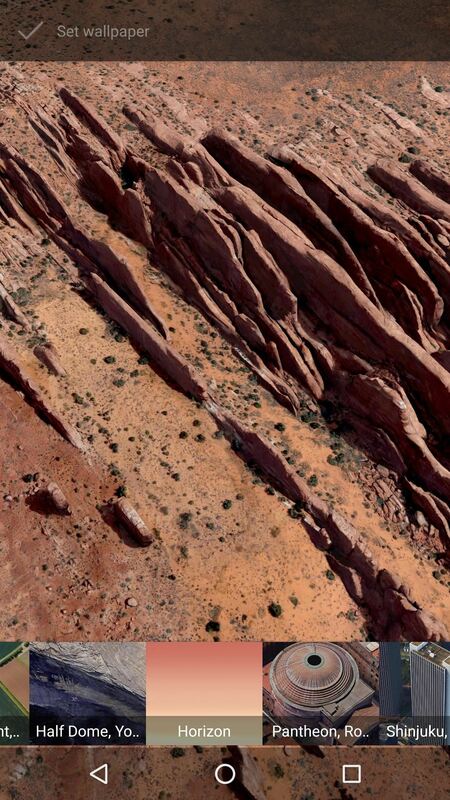 Once you've set your new wallpaper, you'll quickly notice how different these Live Earth images truly are. 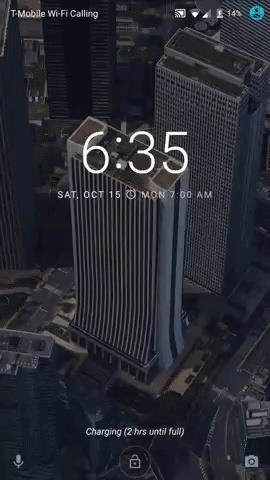 When you unlock your phone, the background image shifts perspective downward, and when you move between home screens, your vantage point rotates along with it. Aside from looking gorgeous, some of these Live Earth wallpapers add a bit of subtle functionality, too. 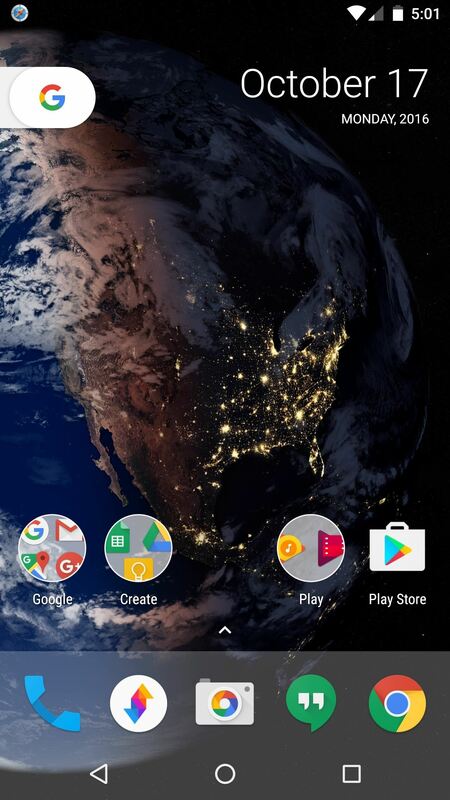 The "Horizon" image goes from sunrise to sunset as your battery drains from 100% to zero, and the "Your World" wallpaper depicts a live view of the sun's position at your location, while overlaying current radar imagery of the clouds. Honestly, these images made my jaw drop when I first saw them. If you just want to see how they look, check out the following gallery—but know that you won't get the full effect until you see them in person. That's strange, it seems the app should work for you. Your Moto G4 Plus has an ARM64 processor, and it's running Android 6.0+, so I'm not quite sure why it doesn't want to install. The only suggestion I have would be to check and make sure you have enough storage to install the app, since it's pretty big (80 MB). 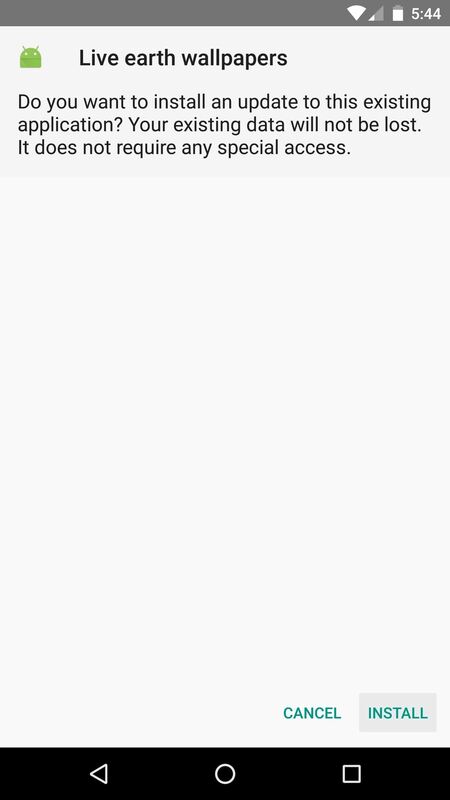 Other than that, it could be a bad download, so maybe try to delete the APK and download again. I installed on Sony Xperia XZ with Android 7 and does not work, only the live earth, the other yes, why? The Earth one doesn't work, keeps crashing. Try granting Location permission for the Live Earth app. 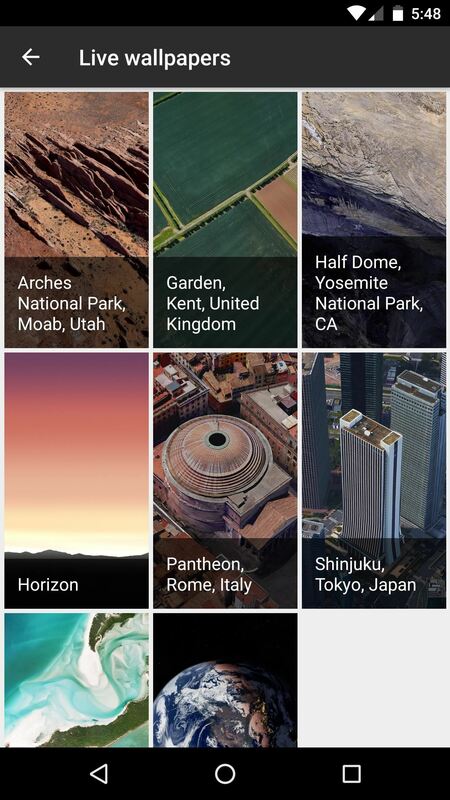 Go to Settings -> Apps, then find Live Earth Wallpapers in the list. Then hit "Permissions" and make sure to enable anything you see there. I need Pixel Launcher installed for use this app ? Nope, you can use it with any launcher! Has anyone worked out how to get these as the lock screen? You might need to manually enable the Location permission. 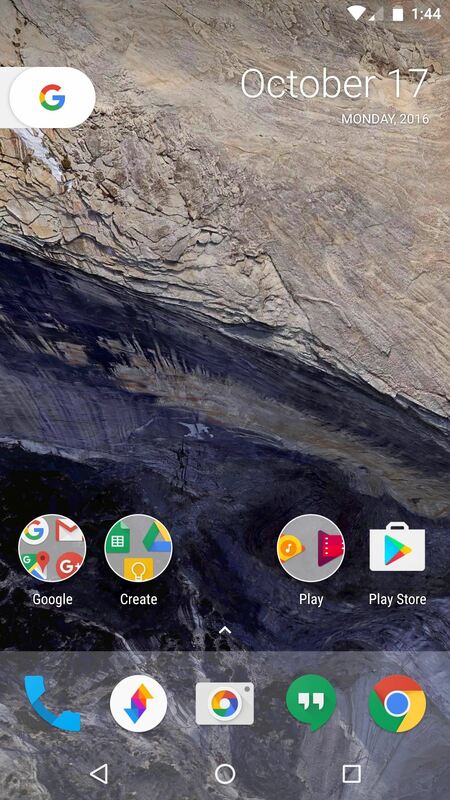 Go to Settings -> Apps, select Live earth wallpapers, then tap Permissions. Enable everything you find there and see if it works. I am trying to install it on my Oneplus one but it says "App not installed"! Any idea? All of them work except the "Your World" one that I most want. Any suggestions?